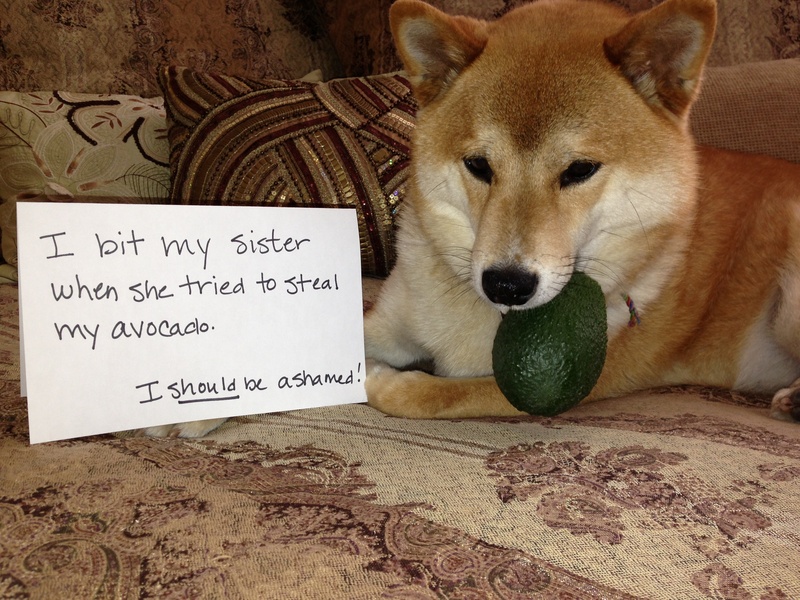 My sister tried to steal my avocado my avocado so I bit her…I should be ashamed but I got my avocado. Posted November 12th, 2013 . The pit is not toxic. It is an obstruction hazard. (DVM here) That is a cute guacamole thief. Hope the dog didn’t bite a human “sister” … that wouldn’t be funny AT ALL. Super cute…I hope the dog didn’t actually bite a child…that would not be okay.